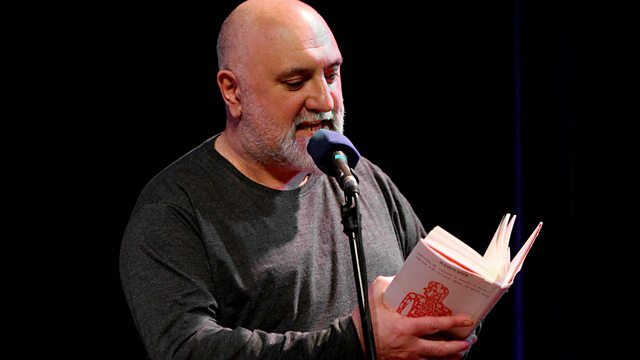 A specially-commissioned memoir from comedian Alexei Sayle, who grew up in Liverpool and has good reason to remember archetypal British bank holidays. A specially-commissioned memoir from comedian and author Alexei Sayle, in celebration of bank holidays. As the son of a train guard and union official, the Liverpool-raised Alexei has more reason than most to remember the bank holiday. It meant that the Sayle family could travel all over Europe by rail for free. But it also meant that often holidays were spent in the English seaside town that was hosting the Annual General Meeting of the National Union of Railwaymen, and the only foreign interest was provided by fraternal delegates sent from SNCF, the French railway. Alexei recalls the cherished passes that allowed him in to all the local attractions free. He remembers the strange nature of the meetings themselves - like rock festivals 'where the stars...were balding alcoholics in ill-fitting suits, talking gibberish'. But come the annual dinner dance, they revealed themselves as sharp and fluent, masters of the jive and the waltz. But at the age of 14, Alexei wasn't so keen on the meetings anymore, especially when the union meeting was in Southport, just a few miles from home. So he committed a daring, meaningless and highly significant act.